Yesterday, we told you all the ways that Bryant Park can help you keep your New Year's Resolutions. For transparency's sake, we reveal the park's own resolutions, here, so you can help keep us accountable in the New Year! 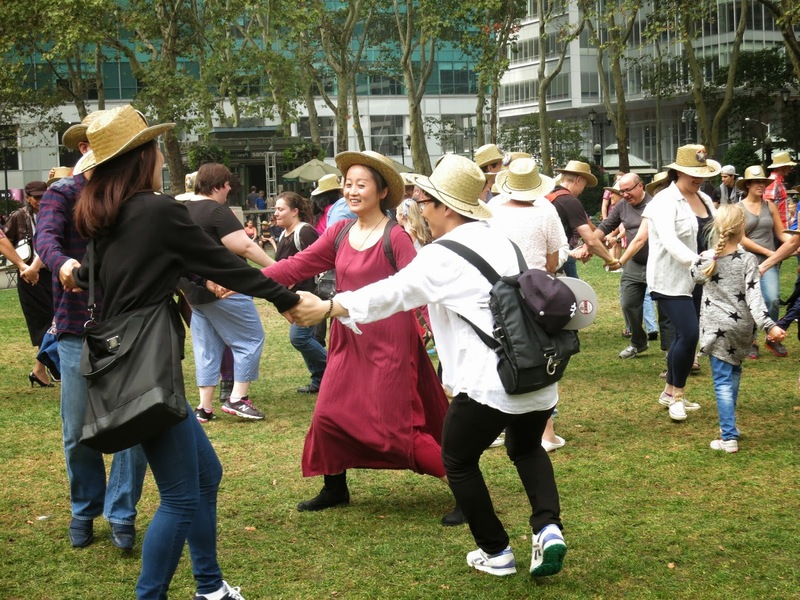 The Third Annual Bryant Park Square Dance saw a festival atmosphere and expanded activities, including children's crafts and a mechanical bull. 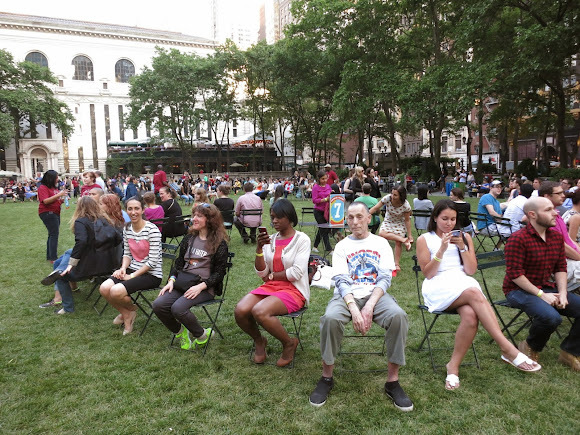 Our Second Annual Musical Chairs was a huge success, with 600 people playing along. 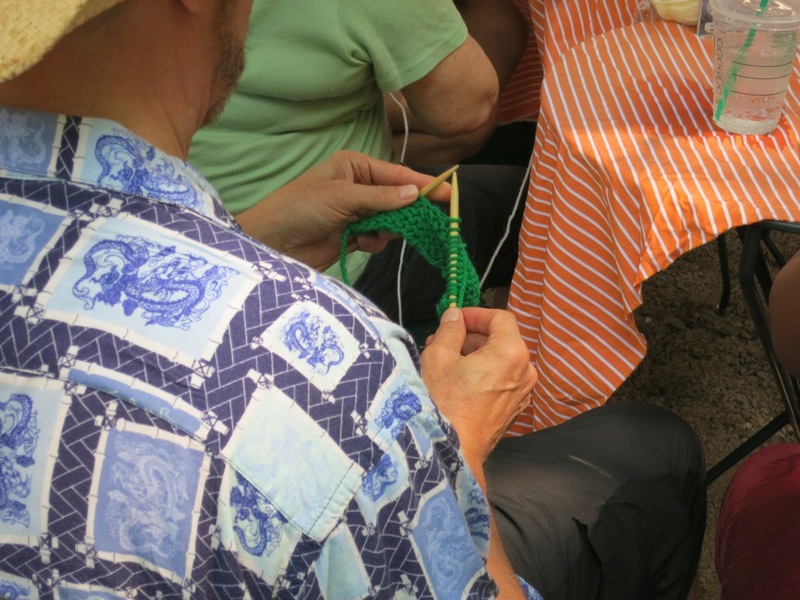 The event overtook the lawn. Participants in Boot Camp with The Rise NYC do an exercise called "burpees." 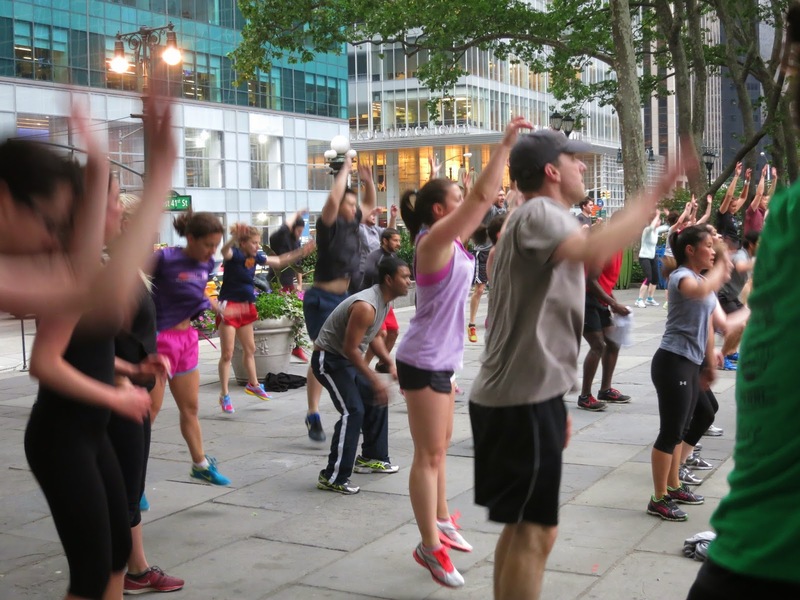 Join them every Wednesday morning at 6:30am. Knitting lessons with Knitty City occurred Tuesday afternoons in the summer. 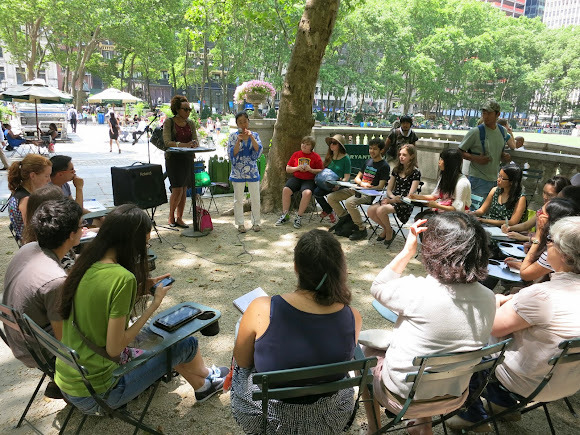 This photo from the summer depicts our Japanese lessons with inlingua. Bryant Park Juggling is a year-round activity. 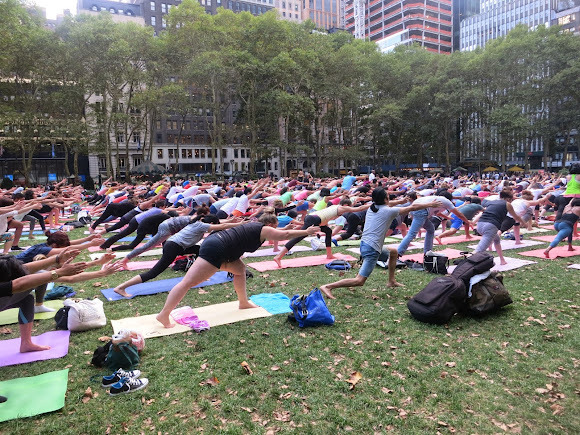 Bryant Park Yoga, 2014, in partnership with Athleta, YogaWorks, and flavorpill, had record-breaking attendance this year, topping off at 1,123 participants. The yoga classes are great. Hope there is more square dancing next autumn. The piano series is the best event by far.